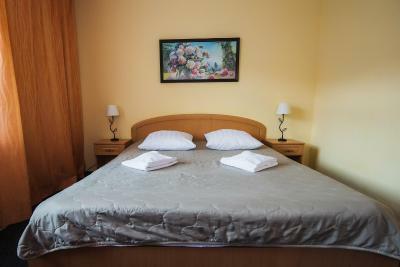 Lock in a great price for Hotel Na Sovetskoy – rated 8.5 by recent guests! Perfect location and nice value. Very close to metro and rail station to Moscow, less than 200m. Clean. It's located in a quite area and surrounded by trees and you can hear birds singing in the morning. The staffs were kind and helpful even thought you need to use a translater. 2nd time at this hotel - hosts were very friendly as usual, but the room I got this time was not so great - it takes nothing to clean the dust on remote controls. Room small for the furniture stuck in. Overall decent hotel with perfect location. Minor issues I think which could be fixed easily. 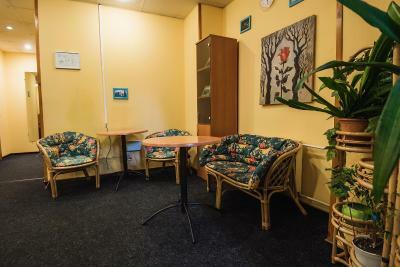 Warm and very helpful host at the reception, clean and comfortable room, down town location. A big thumb up for reception :) Thanks for everything, keep going like this. Friendly staff. Close to the metro and Nevsky Prospekt. Good value for money. Quite "Sovietic" style - old and a bit "kitsch". But nice! Although not so easy to find, the location of the hotel is good : on a quiet, inside-street, next to the Rebellion Square (Ploshad' Vosstaniya), which lies in the heart of this beautiful city. The hotel itself is a real bargain on the money-quality ratio. The room I stayed was clean, the bed was comfortable, there was flat TV, slippers, and even a small fridge. 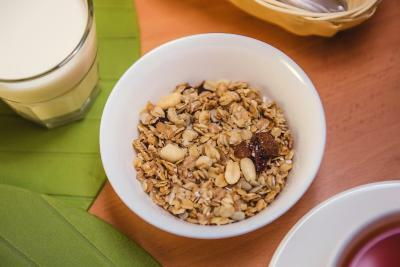 The breakfast consisted of porridge, hard-boiled eggs, yogurt, bread, butter, sausage, corn-flakes and milk (I may forget to add something to the list). The tea and coffee is available all time around. 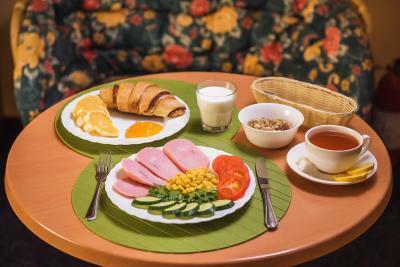 There is practically no breakfast room in the hotel, but instead you can take the food on a tray in your hotel room and eat it there. The staff was friendly and helpful (for example, the receptionist lent me her own mobile phone charger as I had left behind my own). I would recommend the hotel to those who want to save their money, but still look for some comfort. 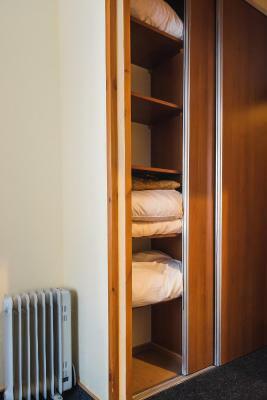 Rooms are small, simple, clean and comfortable. 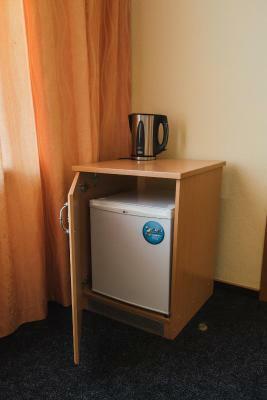 Bed, hot water, hairdryer, drinking water, location just is perfect, few minutes from Nevsky. The price was perfect! Stuff is helpful. Price is attractive. Personal very friendly and helpful. Room is tidy. Cooler in the room is good feature. 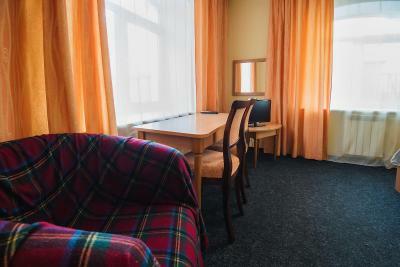 Hotel Na Sovetskoy This rating is a reflection of how the property compares to the industry standard when it comes to price, facilities and services available. It's based on a self-evaluation by the property. Use this rating to help choose your stay! One of our best sellers in Saint Petersburg! 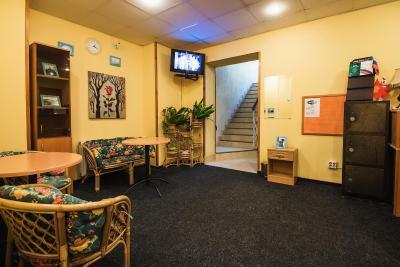 Located in St. Petersburg’s historic center just off Vosstaniya Square, Guest House on Sovetskaya offers air-conditioned rooms with private bathroom and a 24-hour reception. 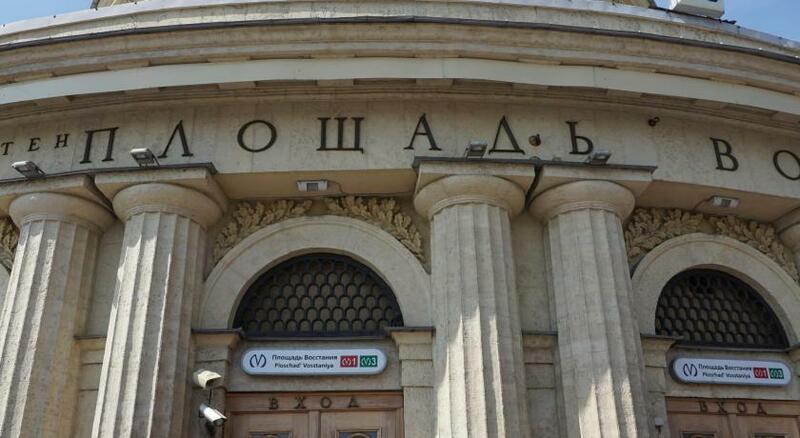 Moskovskiy Station is a 3 minutes’ walk. Rooms at Guest House on Sovetskaya feature warm wood furniture and tiled bathrooms. 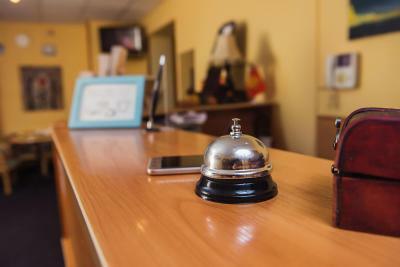 In-room amenities include a mini-bar, telephone and safety deposit box. Guests can arrange city tours or car service at the hotel tour desk. 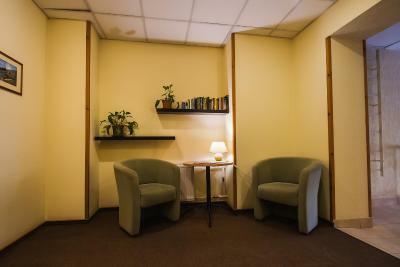 Guest House on Sovetskaya is located just 1,000 feet from Nevskiy Prospect, one of the city’s main streets. 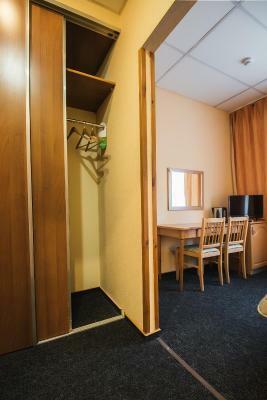 The hotel is 9.9 mi from Pulkovo Airport. 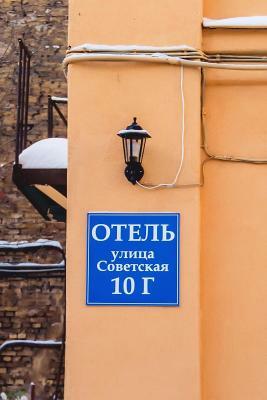 When would you like to stay at Hotel Na Sovetskoy? It consists of 2 rooms and has a seating area. 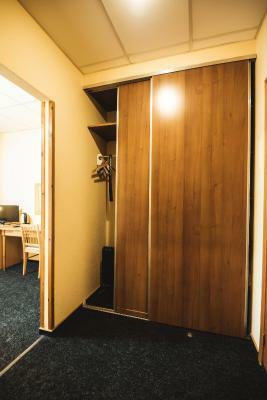 This twin room features a electric kettle, microwave and mini-bar. 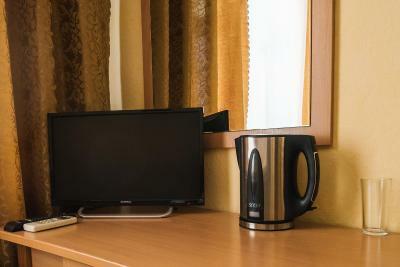 This suite features a microwave, seating area and kitchenware. Classic hotel in a heart of Saint Petersburg. Complimentary breakfast, every room has an air conditioner, tv and a bathroom. 24 hour front desk. 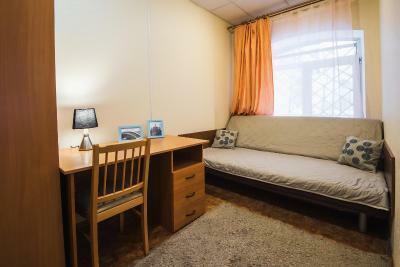 150 meters from Moscowskiy Railroad Station 150 meters from Ploshad Vosstaniya subway station 150 meters from Nevskiy Prospekt We will do our best to make your stay comfortable! House Rules Hotel Na Sovetskoy takes special requests – add in the next step! All children under 16 years are charged RUB 500 per night for extra beds. Debit card Hotel Na Sovetskoy accepts these cards and reserves the right to temporarily hold an amount prior to arrival. Hotel Na Sovetskoy accepts these cards and reserves the right to temporarily hold an amount prior to arrival. Please inform Hotel Na Sovetskoy of your expected arrival time in advance. You can use the Special Requests box when booking, or contact the property directly using the contact details in your confirmation. It was sad experience to stay in this hotel...First of all I had problems with hotel transfer. It didn’t come to airport. The atmosphere in a hotel was very depressing. I don’t want comment breakfast...you can check if you want. It would have been better if the breakfast had more options. If you have an allergy to chemical substances, you have few options to eat. The location is quite far from tourist attractions. Room has not been tidied during the day - we found it in the evening exactly in the same state as when we left it in the morning. 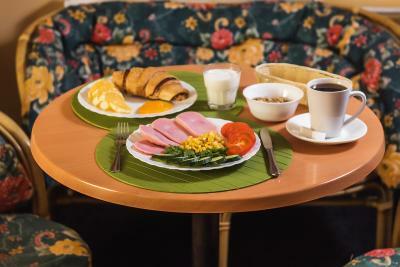 Breakfast is to be taken in the room or on a small table in the entrance. When we came back at 3amm the nightkeeper was sleeping and we could not come in! We had to wake a customer up. Room is not much soundproof. Entrance may hard to find at first. The hotel staff must be more responsible to their duties: did not wake me up in the morning, although promised to do so as I asked them to. Good that I woke up by myself early enough to catch my train on my way back home! 1. Breakfast is too modest: eggs, cooked cereals, bread, yogurt. It would be nice to have something like ham or cheese. 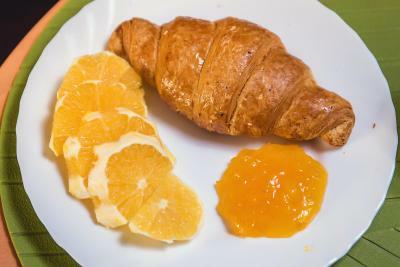 It's not so much of critic, but also an advice how easily make much better breakfast. There is not much space for breakfast. 2. TV-set was suddenly on every night at 3.30 a.m. It was not a nice experience to be waked up in the middle of the night. WiFi in the room did not work. However there is one in the lobby. Cable TV could work better. The staff does not speak any other language than Russian, so an online translator is required to be able to communicate. Even the most simple things as towels are difficult to explain. The hotel is located in a dark and dirty alley. We spent 1 hour walking trying to find it, which is difficult because normally the people you can ask in the street only speak Russian! The worst of all was that we had a legal problem with the hotel. In Russia it is required by law to all the hotels to register all of the passengers with their passport numbers when they arrive, and send this data to the Police Department. This is a legal requirement we were not aware of, but the hotel has the legal obligation to inform the customers upon arrival!. This hotel "Na Sovetskoy" did not inform us of that and as a result we had a problem later: from St. Petersburg we went to Moscow to another hotel where they requested the registration forms from the previous hotel... which of course we did not have. Without the registration forms, the new hotel cannot book the passengers, the law does not allow them! 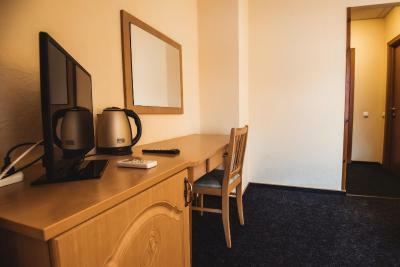 The staff called the previous hotel and they informed that "they did not know about the legal requirements and had therefore not registered anyone". We had to finally call our Embassy to help us with the situation, which was finally resolved. We would not recommend anyone to go to this hotel, as they are not fulfilling the law and regulations of the country! 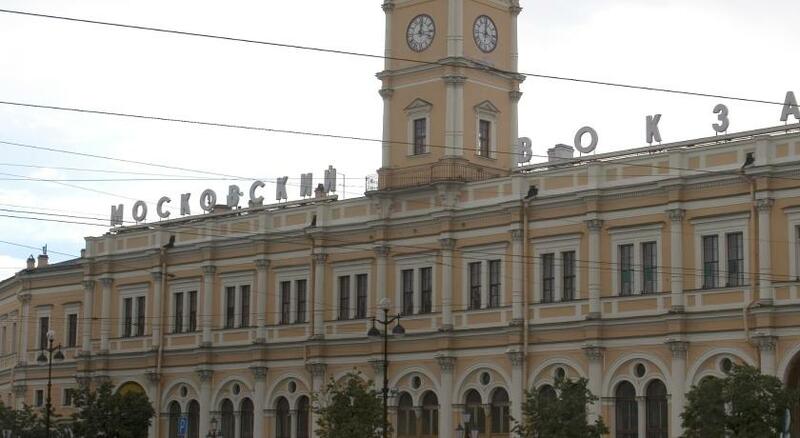 The hotel is close to the train station but it is very difficult to find.